Bedtime - it is definitely a hot topic in the parenting world and often a huge source of stress for any parent. 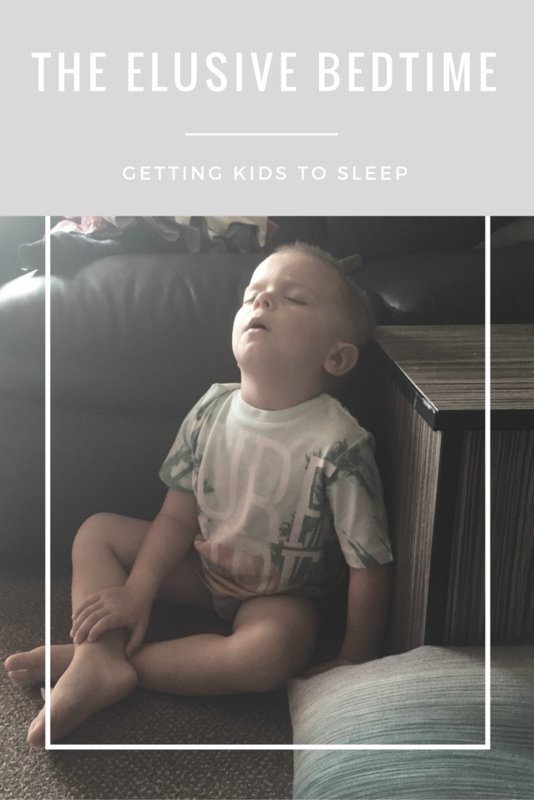 We have always been very fortunate that both our children are relatively good sleepers, but I know many friends who have children who point-blank refuse to sleep through and to who nap times are some elusive goal. Often the pre-bedtime routine can end up in a futile battle that often ends in tantrums or tears. Here are some suggestions for those that are struggling. The first step to making sure your kids get their daily dose of sleep is to find out when they actually get tired. This isn't about letting your children stay up later however; WebMD explains that often, children who are tired prior to their bedtime who do not immediately go to bed will begin producing the stress hormone cortisol that actually makes them feel more awake, both before bed, during the night, and in the morning. Ask your child if they are tired, in tandem with the next trick, to discover the optimum bed time. If your family spends time in front of the television around the time that your child's bedtime starts, (Little J is a huge culprit of demanding 'one more' after each episode we agree to!) this could be ruining your chances of getting the kids upstairs at the right time. We tend to have a time before bedtime that the TV is turned off at to ensure we then have chance to get them upstairs, ready for bed and a story read before it's time for lights out. That way, the children don't feel like they're missing out on anything when it's time for bed. The same goes for tablets, smartphones, laptops etc. Remove the problem! Part of the reason your child might not want to go to bed or may not be getting enough sleep could be due to the quality of the bedding they are sleeping on. New mattresses aren't that expensive, especially when bought online at discount retailers, and the same can be said for duvets and sheets. When Litte J moved from H's old Ikea bed into his new Cosatto bed the difference in his sleep with his new mattress surprised us - he just obviously hadn't been comfortable! Another issue might be that the amount of light coming in to the room is simply too much to allow your child to go to sleep. If this is the case, get rid of the blinds and thin curtains, and invest in some blackout curtains that really block out the light. You can also try the blackout blind from The Gro Company, which can be removed when no longer needed and taken away with you, making it great for travelling. So there are my best suggestions for trying to reach the goal of a peaceful night's sleep for both you and your children! Of course there is no magic cure to get your children to sleep, some children are just bad sleepers. But remember these days are fleeting, and you can do it.